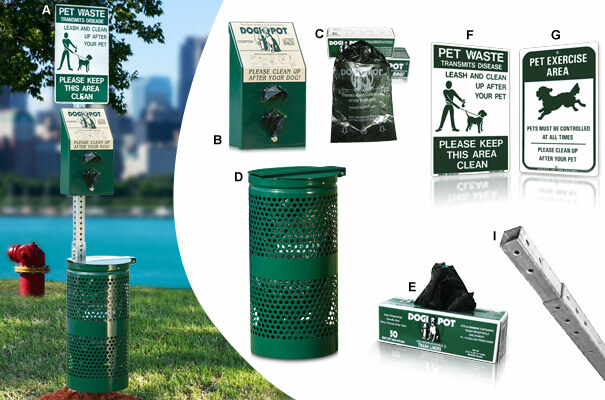 This DOGIPOT® pet waste station provides a very economical and practical method to encourage dog owners, rather than maintenance staff, to assume the responsibility for dog litter pollution. Pet Waste Station includes a heavy-duty powder-coated aluminum waste receptacle and aluminum lid identical to the steel model but has the weather-resistant advantages of aluminum. 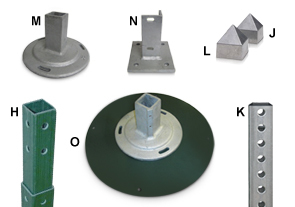 Aluminum requires less maintenance and is corrosion free over the long term. Set up the Pet Station in a visible spot and help eliminate the harmful environmental and human effects dog waste has when not picked up. Heavy-Duty commercial durability makes it perfect for high-traffic dog parks.